Dash Air Fryer Just $39.99! Down From $100! PLUS FREE Shipping! You are here: Home / Great Deals / Amazon Deals / Dash Air Fryer Just $39.99! Down From $100! PLUS FREE Shipping! At Amazon, you can score this Dash Air Fryer for just $39.99 down from $99.99 PLUS FREE shipping! Enjoy the indulgence of crispy fried foods without the guilt. 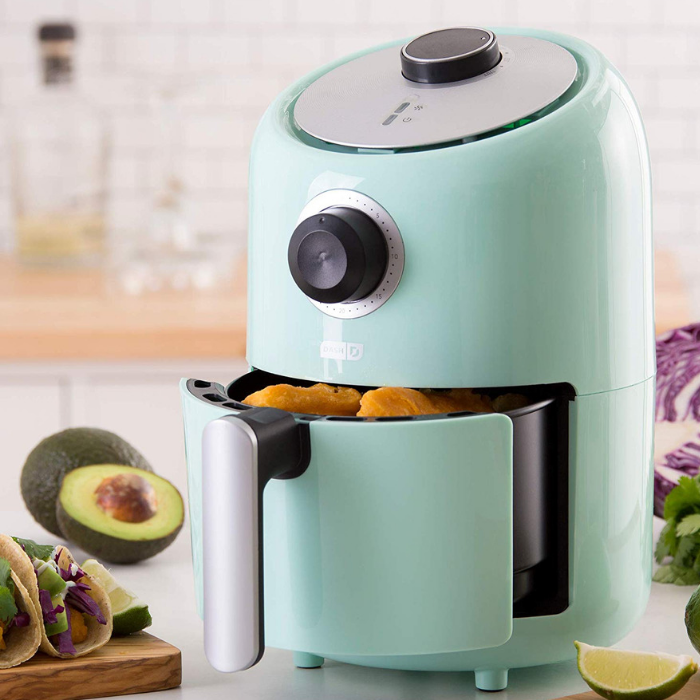 The Dash Compact Air Fryer uses AirCrisp technology and a rapid air circulation system to quickly crisp your ingredients while eliminating extra calories from added oil. Use 80% less oil when you cook in the Dash Compact Air Fryer, while enjoying equally delicious and healthy results.